Bartlett graduate Beatrice Galilee has been appointed to the newly created role of Daniel Brodsky Associate Curator of Architecture and Design at the Metropolitan Museum of Art in New York. Galilee completed an MSc in Architectural History at The Bartlett School of Architecture in 2011, under the supervision of Professor Jane Rendell. 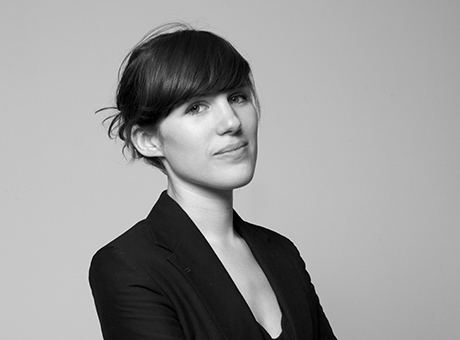 She worked as an editor at Icon magazine, and was a contributing editor to Domus magazine from 2010 to 2013. She is an Associate Lecturer in the spatial practices programme at Central Saint Martins and has written widely on contemporary architecture and design. She was co-curator of the 2009 Shenzhen Hong Kong Bi-City Biennale of Urbanism\Architecture and the Gwangju Design Biennale in 2011, and in 2013 was Chief Curator of the Lisbon Architecture Triennale. In her new role, Galilee joins the Met's department of modern and contemporary art, which will be based at the Marcel Breuer-designed Whitney Museum building.